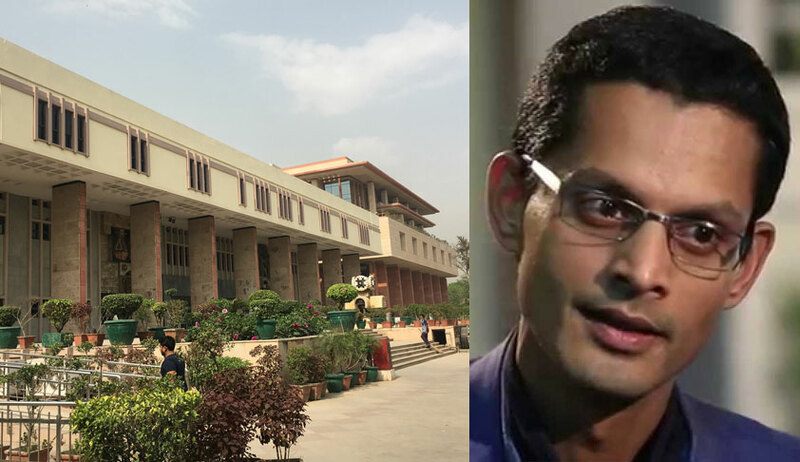 IP Academic Prof. Shamnad Basheer has filed a Petition before the Delhi High Court alleging a violation of the fundamental right to privacy as guaranteed under Article 21 of the Constitution and as affirmed in Justice KS Puttaswamy v Union of India due to Aadhaar data breaches. When the Petition came up before the Delhi High Court on Friday, the Bench comprising Justice Sanjiv Khanna and Justice Chandrashekhar opined that it would wait for the outcome of the petition on Aadhaar pending before the Supreme Court before taking this one up. It then posted the matter for 21 August, with the liberty to the Petitioner to approach the Bench before this date should any emergency or urgency arise. Prof. Basheer was represented pro-bono by leading criminal lawyer Siddharth Aggarwal, who was briefed by lawyers, Rupali Samuel, Jhanvi Dubey and Sidddharth Sajita. UIDIA was represented by counsel Zoheb Hossain. The IDIA team helping on this petition included Public interest fellow, Balu Nair, along with IDIA volunteers Anmol Malhotra, Ankit Yadav, Shilpa Prasad, Vinoothna Vinjam and IDIA scholar Donnie Ashok. Link some more…and we’ll all be swell! Addressing all Aadhaar card holders as Aadhaaris, the Petition goes on to trace the journey of how Aadhaar was conceptualized as a voluntary scheme but was gradually morphed into a near compulsory mandate, with forced linkages to a slew of essential services, including banking services, filing of tax returns and cell phone subscriptions. It then asserts that with Aadhar being all-pervasive, the contemporaneous privacy concerns have also risen. The petition clarifies that the Petition does not intend to challenge the constitutional validity of the Aadhar Act, but only seeks to "establish that the Respondents continue to compromise the security of Aadhaar data through their negligent acts/omissions and consequently violate the fundamental privacy rights of the Petitioner and that of the public at large". The Tribune report had claimed, "It took just Rs 500, paid through PayTM, and 10 minutes in which an “agent” of the group running the racket created a “gateway” for this correspondent and gave a login ID and password. Lo and behold, you could enter any Aadhaar number in the portal, and instantly get all particulars that an individual may have submitted to the UIDAI (Unique Identification Authority of India), including name, address, postal code (PIN), photo, phone number and email. What is more, The Tribune team paid another Rs 300, for which the agent provided “software” that could facilitate the printing of the Aadhaar card after entering the Aadhaar number of any individual." The petition attributes the security breaches to "negligence/willful recklessness" on the part of the UIDAI due to absence of reasonable security measures. It then asserts that UIDAI's conduct violates Aadhaar Act and associated regulations, as well as the Information Technology Act, 2000 and associated rules. UIDAI's conduct, it argues, violates the Petitioner's fundamental right to privacy; and is actionable and compensable as a common law tort. It then alleges violation of this provision, submitting, "It is evident that this duty under Section 28 of the Aadhaar Act has been breached by the reckless and grossly negligent actions/omissions of Respondent Nos. 1 [UIDAI] and 2 [Union of India] and their officers in unleashing a very vulnerable privacy architecture that gave direct access to the CIDR database to sso-called“grievance redressal” personnel to effectuate changes as they pleased, and permitted such access controls to be multiplied manifold and disseminated widely." To this end, the petition advocates for the appointment of an independent investigative/audit committee comprising multiple stakeholders and experts to investigate all Aadhaar security breaches as well as the robustness of the existing systems. In the alternative, a Writ of Mandamus is sought directing the Centre to permanently delete all existing Aadhaar numbers. Besides, he recommends appointment of a neutral ombudsman/ verification authority for addressing all concerns and complaints at the first level, which may arise in the future in relation to violations of the Aadhaar Act and the IT Act, as well as any data breaches. (x) Appoint an independent investigative/audit committee comprising multiple stakeholders/experts to investigate and audit inter alia (a) all security and privacy breaches of the Aadhaar database, including the breaches outlined in this Petition and ANNEXURE P/3, (b) the robustness of the security systems and processes instituted by the Respondent No.1 and its affiliates/partners, as well as their security policies and practices, operations, infrastructure, and procedures, and their compliance with the same (c) the extent of monitoring of affiliate/partner activities and security systems by Respondent No.1 including audits etc., (d) the extent of non-compliance by Respondent No.1 and its various affiliates/partners with the various statutory duties in relation to the security of the Aadhaar ecosystem, (e) the efficacy or otherwise of steps taken by Respondent No.1 in remedying and rectifying their security practices pursuant to the breaches, and any lapses in this regard and (f) the loss/destruction/unauthorized disclosure of/access to the Petitioner’s own Aadhaar data by acts/omissions of the Respondents. (xvii) Award costs of the proceedings in favour of the Petitioner.